Ryokan vs. Hotels Which is Right for You? If you’re interested in going to Japan, or you’ve been numerous times, chances are that you’re familiar with what a Ryokan is. On the other hand, you’re probably also aware that Ryokan have beautiful, but limited facilities in comparison to hotels. Both Ryokans and hotels in Japan allow you to live in the lap of luxury, but which one is right for you? For many of us, such as me, it’s both! There are things to consider for your next trip to Japan, accommodations being one of the most important priorities! The Ryokan is a traditional Japanese-style inn, furnished with all of the things you’d imagine to find in pre-western Japan. Tables are often ground level, as well as seats. 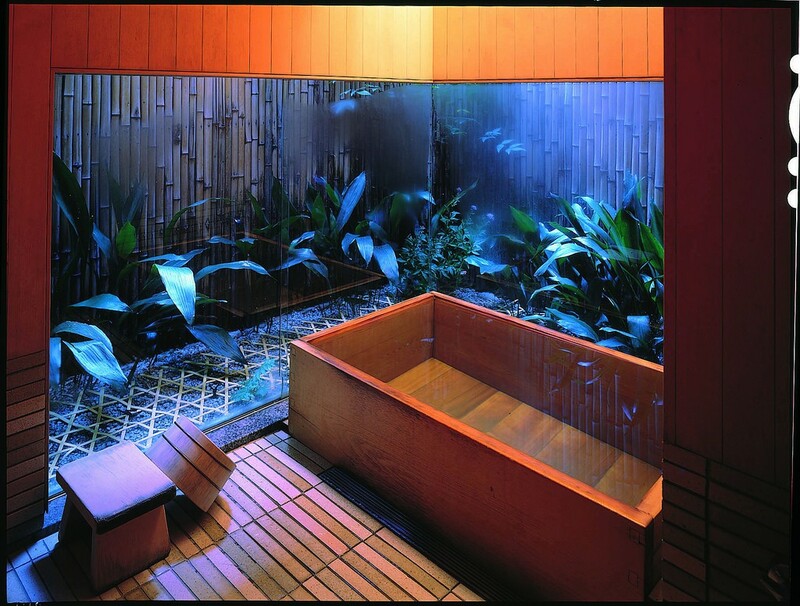 You’ll find a Japanese style bed in the form of tatami mats, and of course, an “Ofuro” style bath tub. In addition to these amenities, Ryokan often have both internal and external design based on traditional East Asian architecture, including Zen/Shinto Influence, gardens, and walking paths. At night, you’ll find the ambient noise and lighting rather attractive, carrying a rustic feel. Gardens and walk ways include traditional stone lanterns, as well as are lit with soft lighting from suspended lamps. The atmosphere of the Ryokan is something you’ll definitely enjoy for an escape from everyday life and a true traditional Japanese Experience. And of course, one of the most notable things of the Ryokan is the food! Ryokan food is prepared with traditional Japanese culinary techniques, as well as served right to each room. The service is a bit more intimate in the Ryokan, and in my experience of traveling, there is nothing quite like going to a Ryokan. Hotel accommodations are something the vast majority of us have experienced. Yet, sometimes it’s the most familiar path that we are most comfortable with—especially when you’re in a foreign country. With all the things you’ll generally find in the comfort of home your own, a hotel is always a good choice! And of course, due to the nature of hotels, they are much more easily accessible in metropolitan areas, with a much larger guest capacity. As you’ve likely experienced, hotels are furnished with western-style beds, desks, and bathrooms. Many hotels are in the heart of the city, so for those on business or leisure, you’re only a short walk away from Urban Japan. Being much taller than the traditional Ryokan, hotels offer much higher views of the beautiful city scape at night. Depending on where your hotel is located, your atmosphere may vary, but if you love the city life, then hotels are for you. Food in hotels, of course are often prepared with both western and Japanese culinary techniques. Hotel restaurants are incredibly diverse and offer great western meals, Japanese meals, and fusion food. While room service is available at the comfort of your own domain, you can also dine in the dining room of restaurants. All in all, your experience in Japan’s hotels will be great! Whether a Ryokan or a hotel is right for you, it’s important to be familiar with both, and for many of us, experience both. There are so many things to see and places to go in Japan. Whether you’re in a rustic Ryokan or a fancy hotel, always remember that where you stay is just as important as where you go.